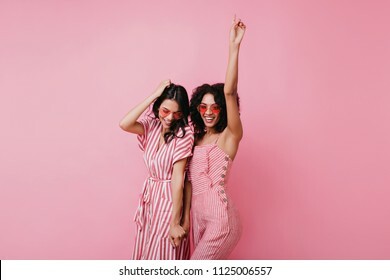 Production company with a mission to create beautiful and appealing stock images. Available for hire. Go to our Facebook page to reach out to us. 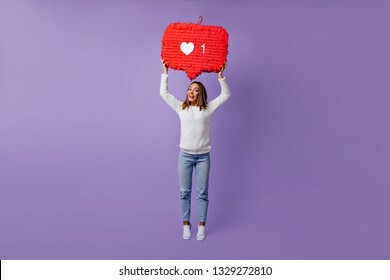 21,521 stock photos, vectors, and illustrations are available royalty-free. Magnificent white girl in casual clothes posing in headphones. 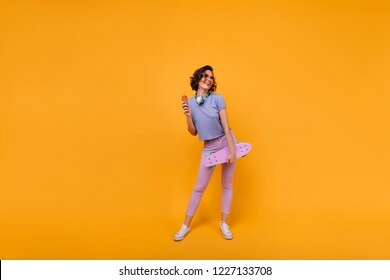 Studio portrait of beautiful lady with skateboard eating ice cream on orange background. Indoor full-length portrait of pleasant glamorous girl with pink hair. Happy young lady in periwig dancing in white sneakers in studio and laughing. 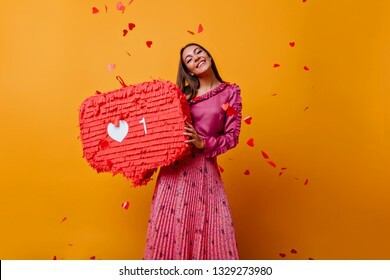 Easy-going girl with long hair expressing positive emotions in valentine's day. 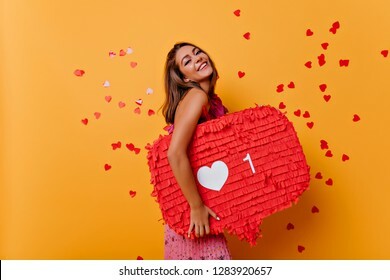 Excited lady looking at fallen paper hearts and laughing. 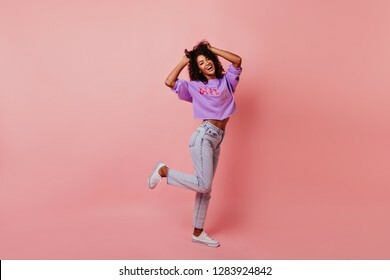 Full-length portrait of attractive slim girl wears white sport shoes. 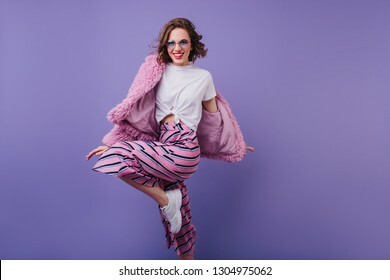 Indoor photo of enchanting caucasian woman dancing on violet background. 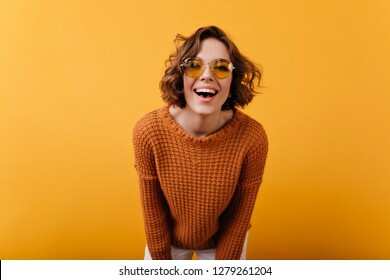 Gorgeous young woman in funny round glasses laughing to camera. Studio photo of joyful brown-haired girl with white skin wears knitted attire. Studio photo of inspired african lady dancing with eyes closed. 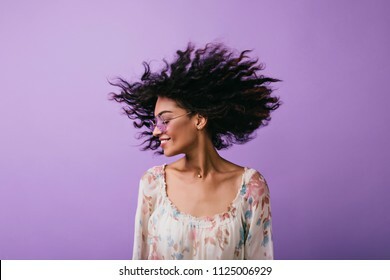 Indoor portrait of relaxed black girl isolated on purple background. Portrait of jumping amazed guy in white sneakers. 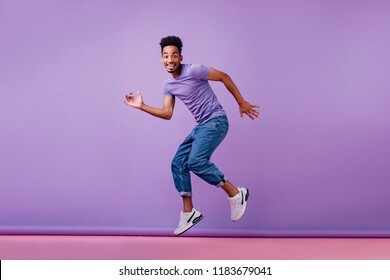 Indoor shot of dancing stylish male model in purple t-shirt. Wonderful european female model chilling in studio with puppy. Indoor portrait of debonair girl enjoying photoshoot with her cute pet. 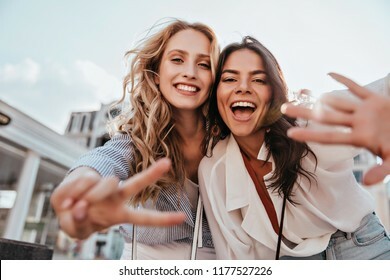 Lovable caucasian girls expressing positive emotions to camera. 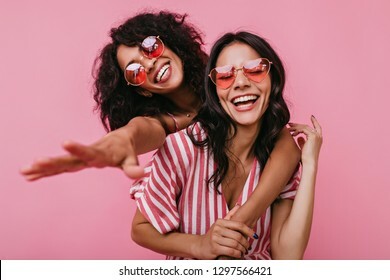 Outdoor photo of refined sisters posing on sky background. Excited young woman with camera spending weekend with friend. 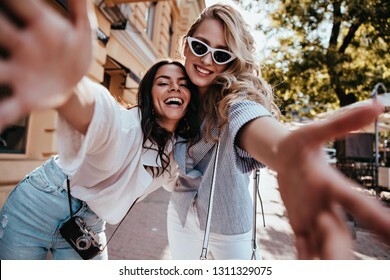 Outdoor shot of spectacular blonde girl making selfie in warm day. Funny guy in red t-shirt jumping and looking up. Studio portrait of emotional african male model posing on purple background. 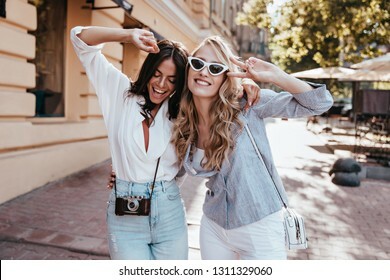 Blissful girls posing with smile in town. 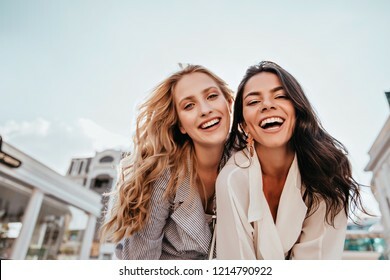 Outdoor photo of amazing caucasian ladies enjoying weekend. 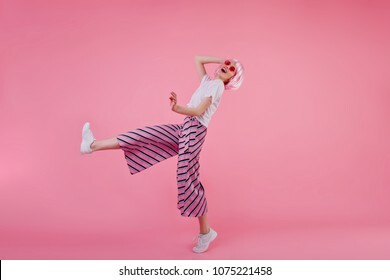 Shapely jocund girl dancing on rosy background. Good-humoured african lady jumping with smile. Tanned brunette girl enjoying media content. Studio photo of smiling lady obsessed with social networks. 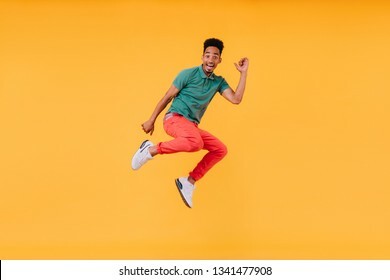 Joyful short-haired guy jumping on yellow background. Indoor photo of stunning male model in green t-shirt having fun in studio. 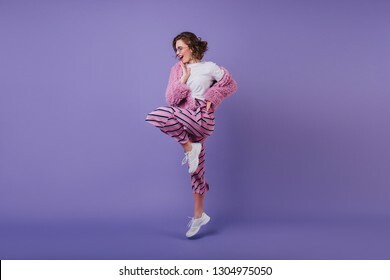 Inspired jocund girl in sneakers dancing on purple background. Gorgeous young female model with dark wavy hair jumping in studio. Sensual african lady having fun with her best friend. 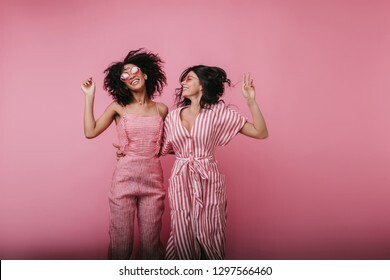 Indoor photo of adorable girls in pink clothes standing on light background. 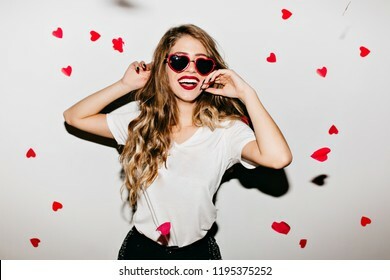 Romantic white woman with brown hair expressing happiness in valentine's day. 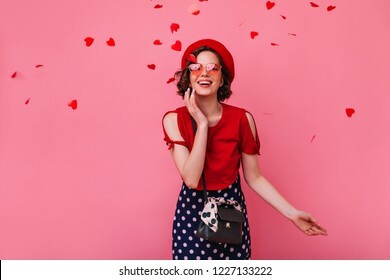 Enchanting stylish girl in funny glasses posing on rosy background with confetti. Beautiful shapely woman dancing with inspired face expression. 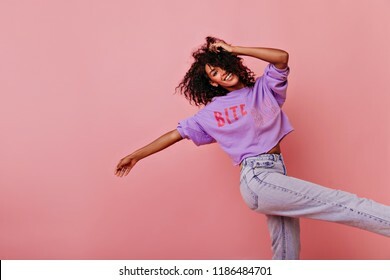 Debonair black girl in purple shirt smiling on rosy background. 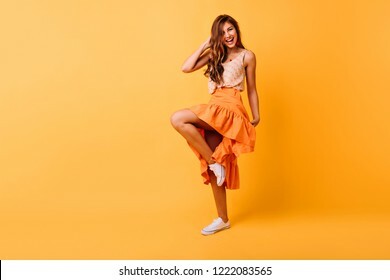 Studio portrait of graceful girl in orange skirt dancing with smile. 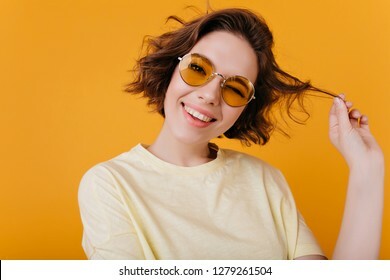 Blithesome ginger lady having fun on yellow background. Curious caucasian girl talking with friend at terrace. 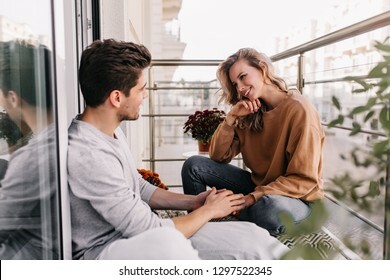 Dreamy young lady sitting at balcony with boyfriend. 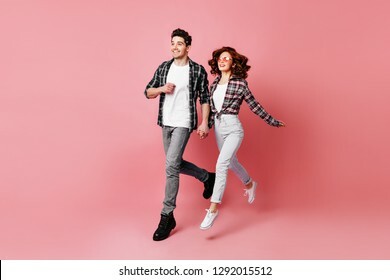 Glad girl having fun with boyfriend. 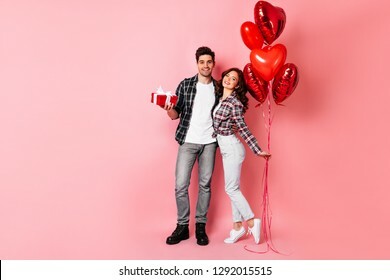 Studio shot of couple fooling around in valentine's day. 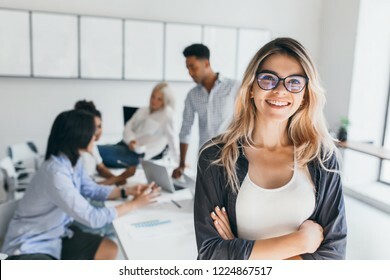 Blonde female executive posing with smile and arms crossed during brainstorm with managers. Indoor portrait of european student spending time in hall with asian and african friends. 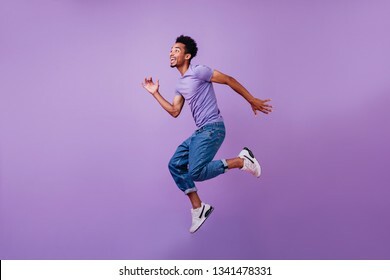 Stunning curly female model jumping on purple background. Indoor photo of slim girl in bright yellow dress. 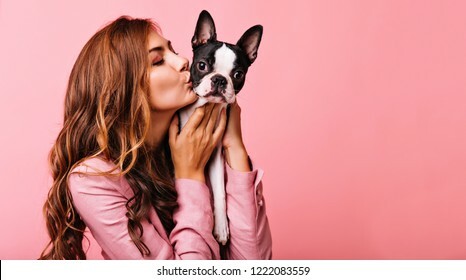 Lovely female model kissing funny bulldog puppy. 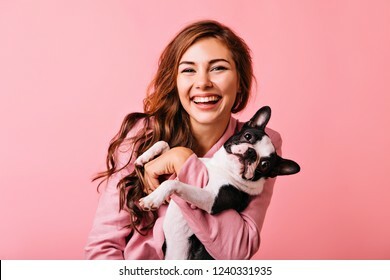 Indoor portrait of refined dark-haired girl posing on pink background with dog. 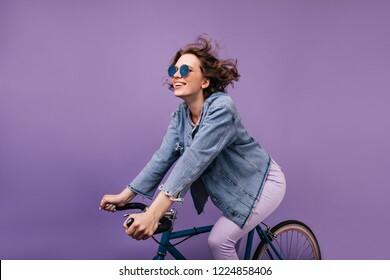 Dark-haired joyful lady chilling during photoshoot on bike. Winsome caucasian girl with wavy hair sitting on bicycle. Dreamy male model. 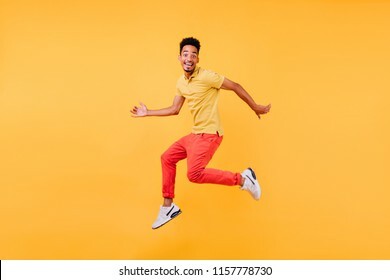 Indoor shot of african guy in bright clothes jumping on yellow background. Blissful dark-haired man fooling around while preparing for new year. 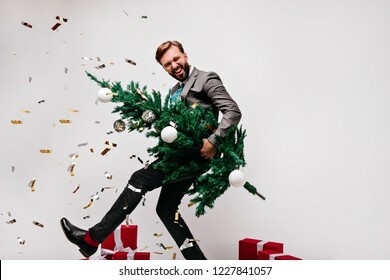 Laughing male model holding green christmas tree. European couple posing in anniversary. Studio full length shot of man embracing wife and holding present. 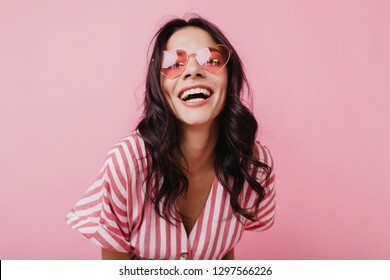 Slim european woman in glamorous sunglasses laughing on white background. 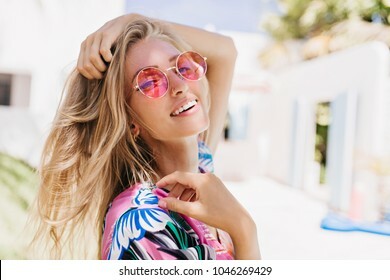 Photo of good-looking girl playing with her wavy hair. 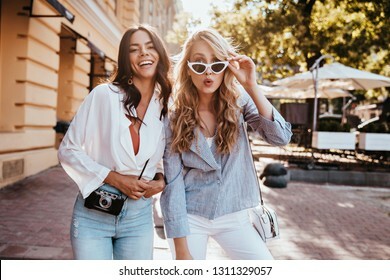 Curly debonair girl dancing with friend on the street. Outdoor photo of latin brunette woman having fun with sister. 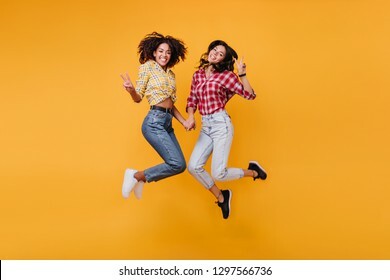 Inspired laughing ladies posing together on sky background. 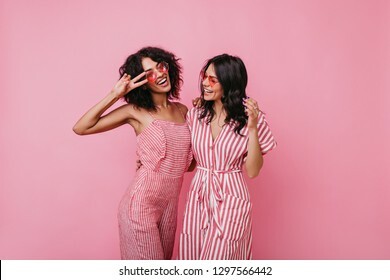 Outdoor photo of interested caucasian sisters enjoying good day. Magnificent woman in long bright skirt dancing in studio. 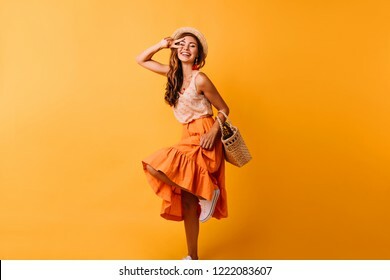 Carefree inspired female model posing with pleasure on yellow background. Happy white woman with gorgeous hairstyle sitting on window sill. Indoor portrait of glad young lady in jeans posing emotionally while drinking coffee. 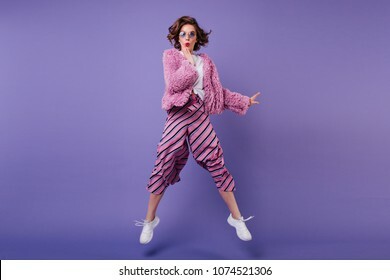 Full-length shot of glad curly woman in striped pants jumping on purple background. Indoor portrait of wonderful girl in sunglasses fooling around in studio. 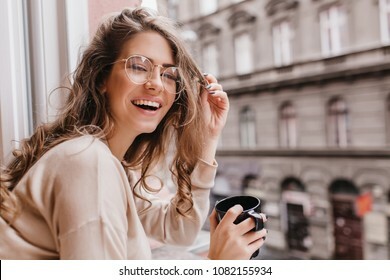 Close-up portrait of laughing brunette girl in beige sweater drinking coffee on city background. 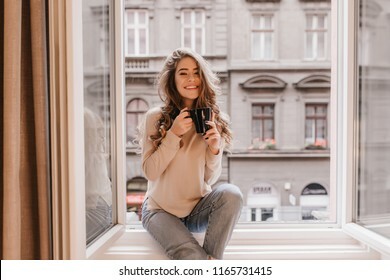 Lovable lady standing near window and looking at beautiful building with cup of tea. 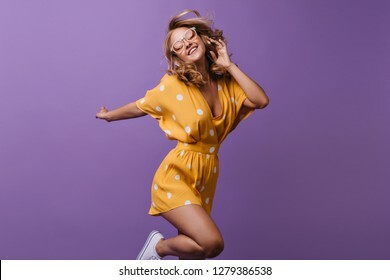 Full-length portrait of optimistic laughing woman dancing in studio. Relaxed curly female model enjoying life. Relaxed red-haired girl embracing puppy on yellow background. Studio portrait of white appealing woman chilling with dog. Smiling european lady in trendy sunglasses dancing in fur jacket. 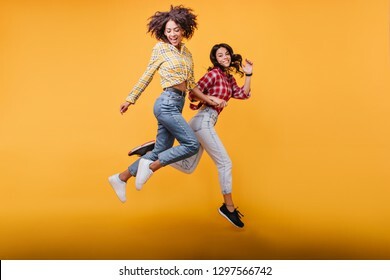 Studio shot of beautiful female model with wavy brown hair jumping during photoshoot. 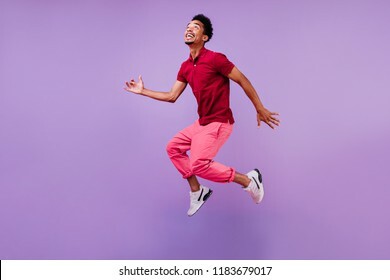 Excited black male model dancing in studio. 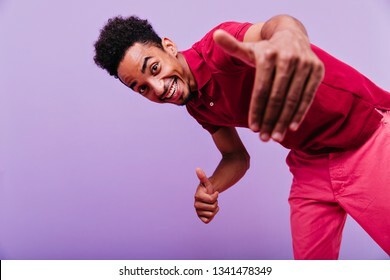 Funny emotional man in red t-shirt looking to camera with smile. 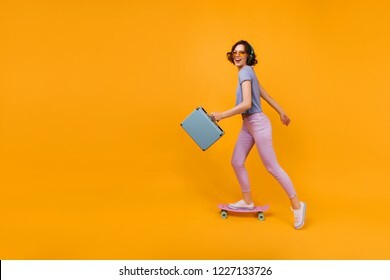 Full-length shot of attractive slim girl with longboard isolated on bright background. Romantic lady eating ice cream with pleasure during photoshoot. 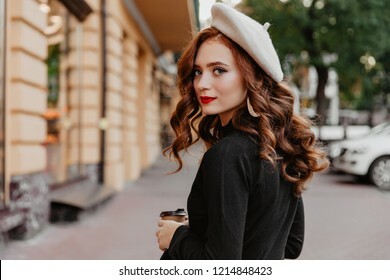 Romantic ginger woman in french beret looking back. 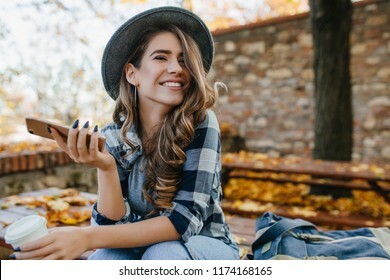 Outdoor photo of adorable brunette girl enjoying autumn day. Close-up portrait of cheerful white woman in glasses touching her hat on blur background. 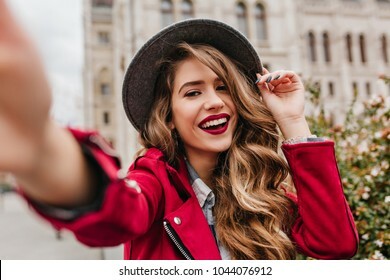 Photo of fashionable girl with beautiful brown hair smiling to camera. 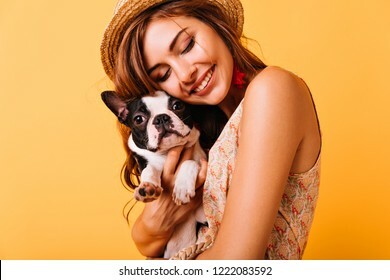 Attractive girl embracing her pet with smile. 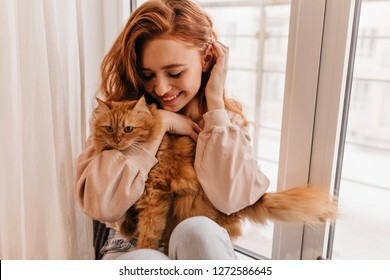 Indoor portrait of cute ginger woman playing with cat. 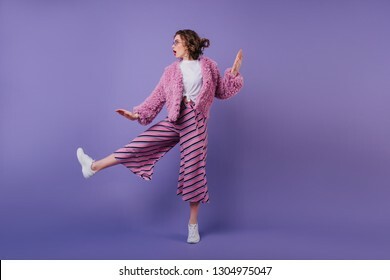 Smiling pretty girl with wavy hairstyle standing on one leg on purple background. 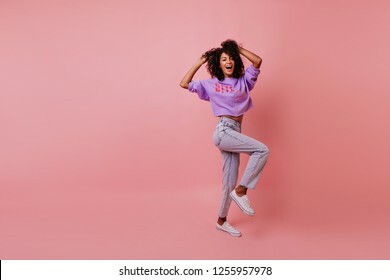 Studio portrait of cheerful brunette female model dancing in white sneakers. 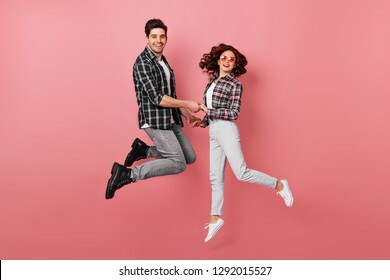 Full-length portrait of funny couple jumping under snow. Indoor photo of pretty girl in scandinavian sweater chilling with boyfriend during christmas holidays. 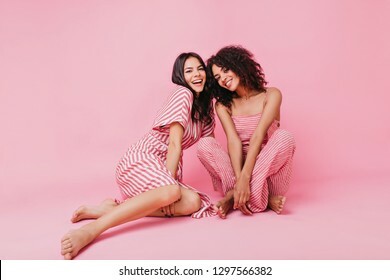 Full length shot of caucasian couple isolated on pink. Man in casual attire chilling with girlfriend. 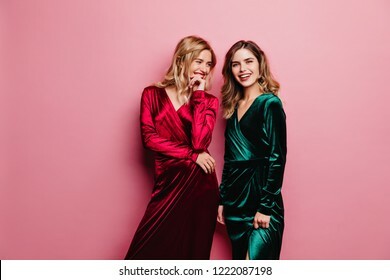 Blonde woman in long velvet dress looking at her sister. 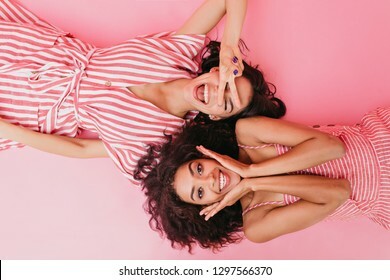 Smiling charming girls posing on pink background. 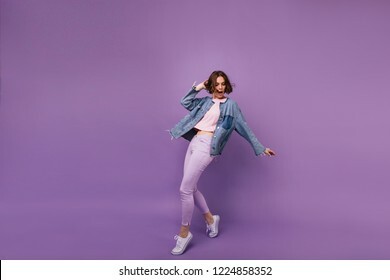 Surprised lovely girl in white shoes posing on purple background during indoor photoshoot. Full-length portrait of interested curly woman in pink pants and elegant fur jacket. Blissful young woman with pale skin making funny faces during photosoot. Studio shot of pretty curly girl fooling around on bright orange background. 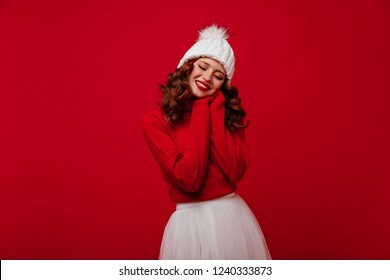 Cute red-haired girl in stylish winter hat expressing happiness in christmas. 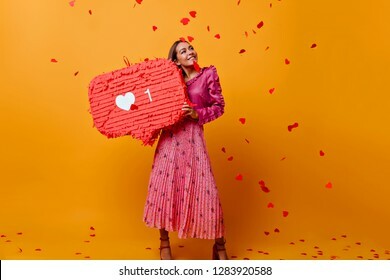 Attractive young woman in sweater and skirt enjoying new year photoshoot. 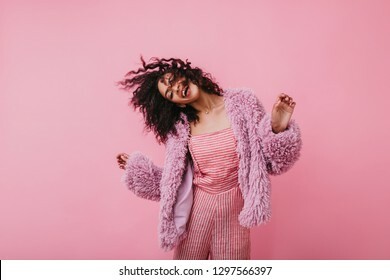 Carefree female model dancing in pink kigurumi. 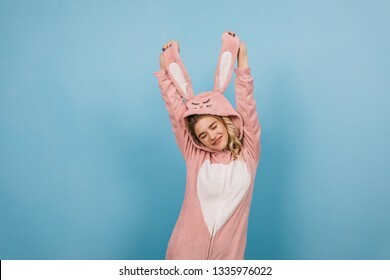 Studio shot of emotional girl wears bunny costume. 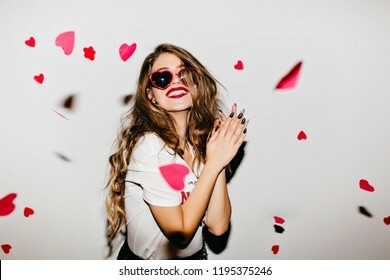 Sensual young woman in funny glasses expressing energy while dancing under confetti. 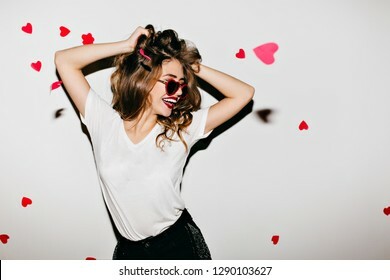 Laughing long-haired girl enjoying valentine's day. 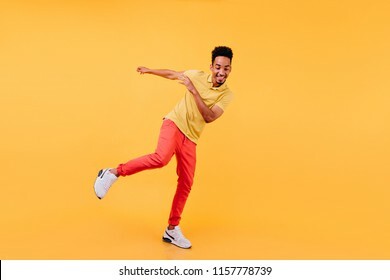 Full-length portrait of joyful african male model dancing in yellow shoes. 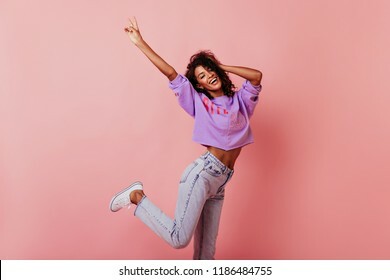 Cheerful black man enjoying photoshoot on bright background. 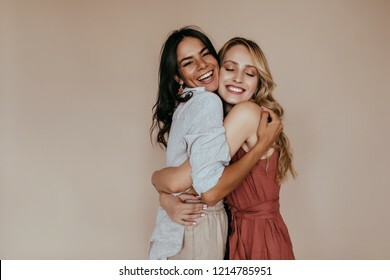 Pretty girls with trendy makeup embracing on light background. Excited caucasian sisters expressing love. Close-up portrait of carefree white girl plays with short wavy hair. Photo of elegant european woman with black tattoo isolated on yellow background. 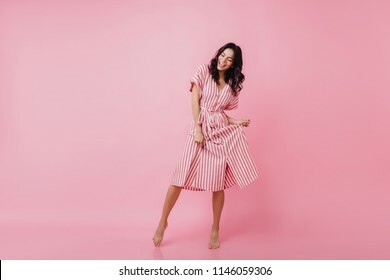 Full-length shot of attractive stylish woman dancing on rosy background. Appealing female model in jeans fooling around in studio. 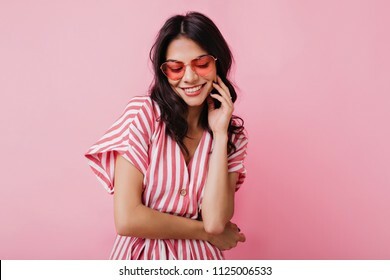 Close-up portrait of magnificent caucasian girl in round pink sunglasses. Lovable long-haired blonde woman enjoying life and having fun at resort. 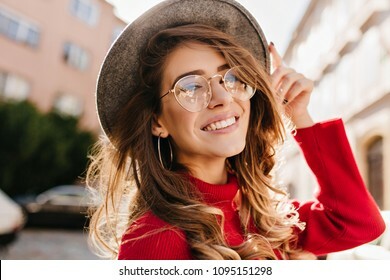 Romantic brown-haired girl in trendy heart glasses posing with shy smile. 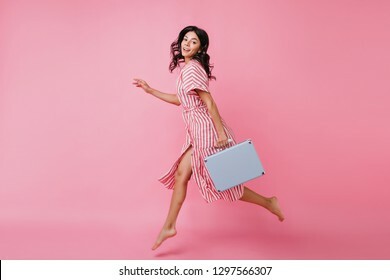 Indoor photo of graceful young woman in summer attire and accessories. Lovely girl in jeans sitting on the floor and talking with boyfriend. 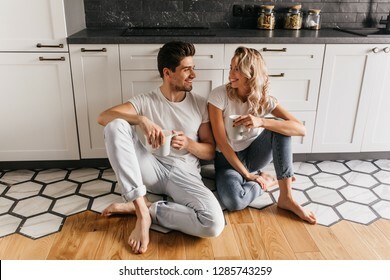 Young couple enjoying coffee in kitchen. Ecstatic blonde girl playing with her hair while chilling in cafe. 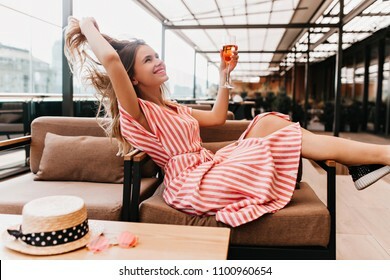 Inspired young woman in striped dress enjoying champagne in restaurant in summer weekend. 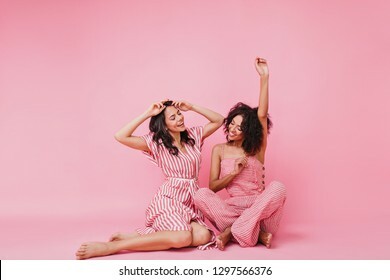 Satisfied woman in pink outfit laughing in studio. 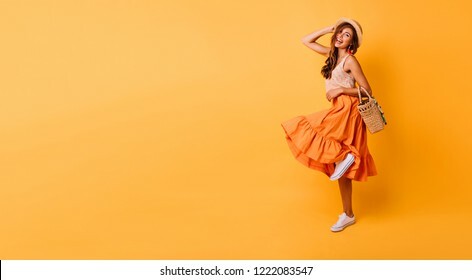 Adorable caucasian girl in long skirt standing on yellow background. Interested dark-haired girl with blue earphones eating ice cream. 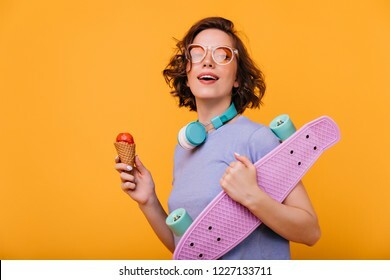 Indoor photo of funny curly woman with skateboard isolated on yellow background. Portrait of wonderful white female model with bright makeup expressing energy in good day in Europe. Lovely curly woman in stylish hat making selfie while walking past old building. 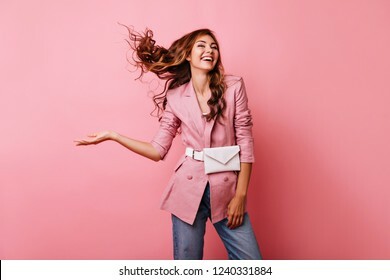 Wonderful young woman with long hair having fun on rosy background. Magnificent girl in trendy sunglasses relaxing during photoshoot. 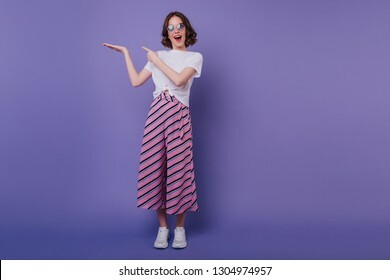 Full-length portrait of young woman in trendy pants dancing in studio with happy smile. 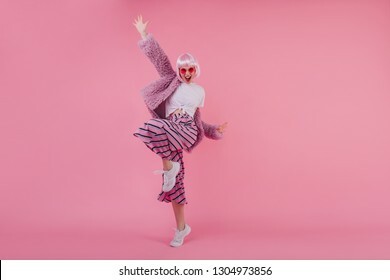 Indoor shot of slim stylish girl in pink wig having fun. 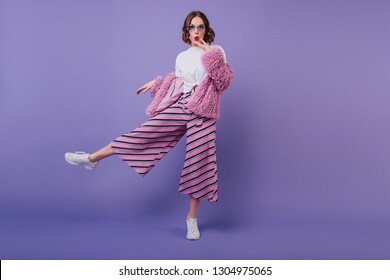 Full-length portrait of spectacular pretty woman in pink striped pants. Indoor shot of amazing good-humoured girl posing on purple background. Good-humoured male model dancing in new white sneakers. Studio shot of ecstatic african guy in jeans. Fascinating red-haired lady expressing positive emotions. 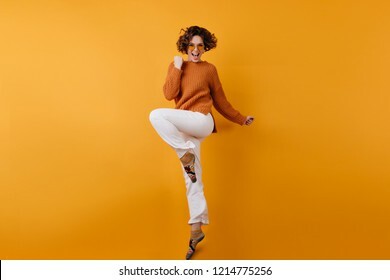 Happy ginger girl in orange skirt dancing with smile. 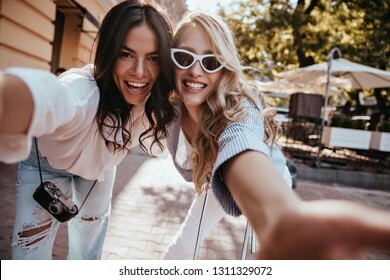 Fashionable latin girl making selfie with friend. 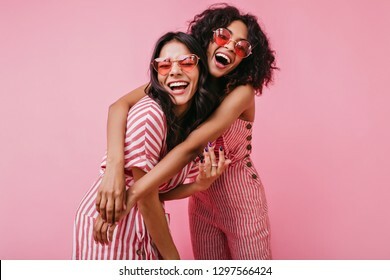 Outdoor portrait of two cute ladies having fun together. Pretty glamorous girl touching her straw hat. 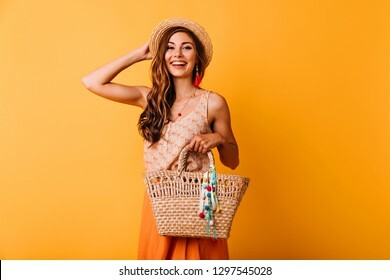 Studio portrait of joyful young woman with summer bag. Dreamy good-looking african girl enjoying leisure time with excited friends. 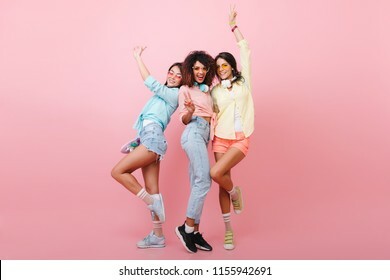 Indoor full-length portrait of tanned ladies in casual clothes fooling around in weekend photoshoot. Blissful red-haired girl enjoying studio photoshoot. 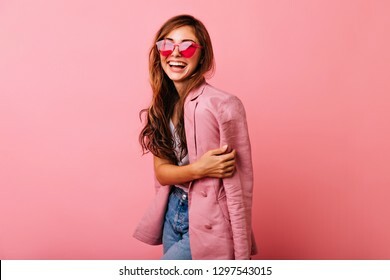 Carefree caucasian lady in pink jacket laughing on pastel background. Full-length portrait of stylish female blogger standing on purple background. 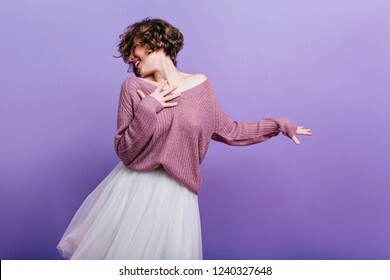 Dreamy caucasian girl in white sweater dancing in studio. 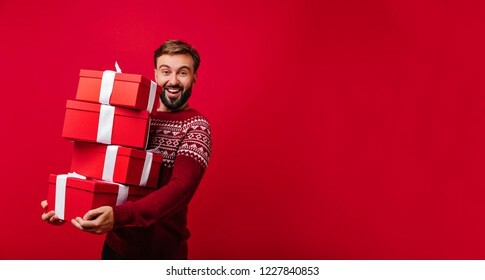 Blithesome bearded white guy enjoying christmas time with presents. 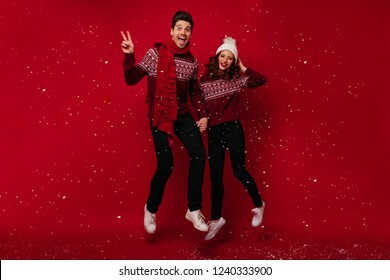 Indoor shot of carefree european man in red sweater having fun at new year party. 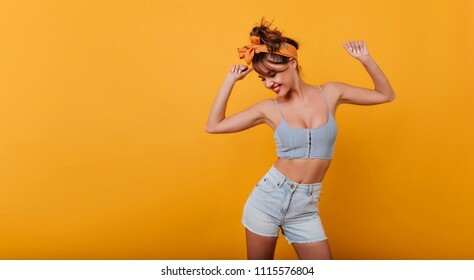 Sporty lovely girl in tank-top and denim shorts dancing with pleasure and smiling. 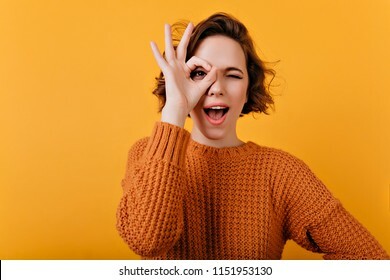 Indoor portrait of stunning female model with vintage hairstyle waving hands on yellow background. 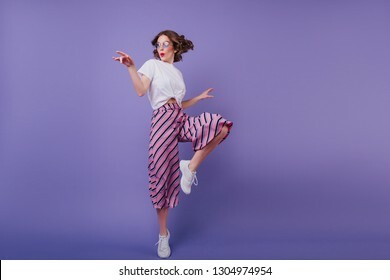 Inspired romantic woman with short hair dancing in studio in long white skirt. Joyful brunette girl in knitted oversize sweater spending time on photoshoot. 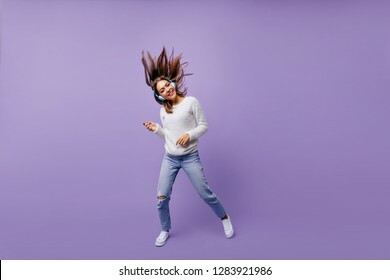 Joyful brunette girl listening music in studio. 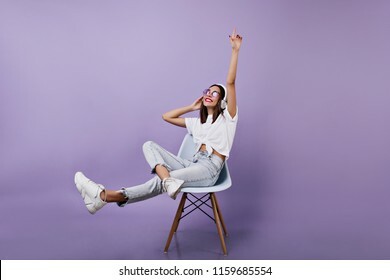 Relaxed female model in jeans posing on purple background with headphones. Active caucasian woman with valise skating in studio. 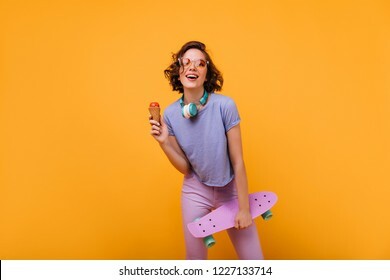 Indoor shot of magnificent curly girl standing on longboard on yellow background. 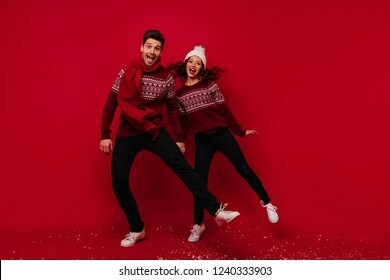 Couple in new year sweaters dancing on red background. Studio full-length shot of positive young people having fun during christmas photoshoot. Shapely blissful girl in red sweater dancing on bridge on blur city background in autumn morning. 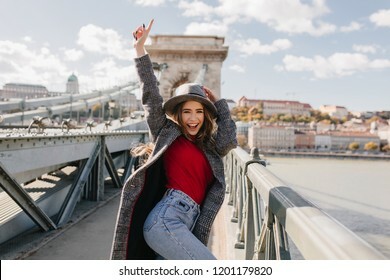 Outdoor photo of happy female tourist having fun, exploring attractions.